Weight : 1.050 KG approx. 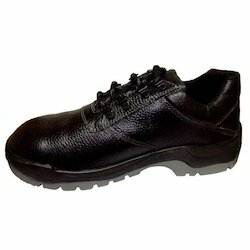 We are a well-known firm, occupied in providing a comprehensive assortment of Men Safety Boot. 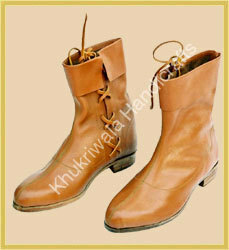 Our clients avail from us a wide variety of Ladies Leather Boot which are manufactured using quality basic material. These Ladies Boots are designed with a view to suit the latest trends and requirements of fashion conscious clients. These are available at leading prices. Armor Costume Boots, Riding Boots Viking Boots, Awesome Style Armor Medieval Boots With Best Quality Medieval Leather Boots Renaissance Leather Shoes All work is hand madeRe-enactment Mens Shoe Costume Boots. Leather shoes a beautiful roman gladiator costume. Combat boots in 6 or 9 eyelets with direct moulded sole. We are looking queries from Foreign. Being a leading firm in this industry, we are offering a high-quality range of Black Leather Boot. Green Leather boots with tps sole and leather insole.